100 days of giving has arrived! and our community has done locally and internationally. #100DaysOfGivingPgh: Every day, see one more way our Annual Campaign helps those in need. Day 97 of 100 - The Wechsler Leadership Development Institute, funded through the Irving J. and Jacquelin G. Wechsler Endowment Fund of the Jewish Community Foundation of Greater Pittsburgh, is a unique opportunity for young adults who are interested in, and passionate about, the Jewish community. Wechsler provides a platform for participants to develop their own leadership skills and identify what it takes to be a Jewish community leader. Graduates learn to utilize those strengths to perpetuate the Federation and its beneficiary agencies' missions both locally and globally. Wechsler is a ten-month course with one session per month from approximately September through June. Highlights from the course have included tours of local agencies, a hands-on volunteer experience, mock budget and allocations process, and opportunities to travel to National Young Leadership conferences. Institute graduates hold positions of significant responsibility throughout the community. The Jewish Federation Volunteer Center provides a network of resources that create meaningful volunteer opportunities and a centralized entry point for Pittsburgh’s Jewish community volunteers to get involved. 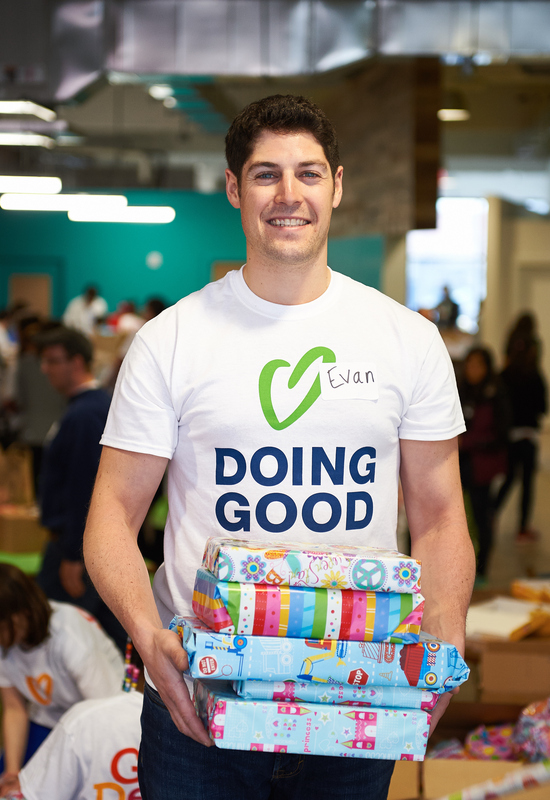 They provide many volunteer opportunities throughout the year, but Good Deeds Day and Mitzvah Day are the biggest volunteer events. Mitzvah Day is a long standing tradition in Pittsburgh where the Jewish community comes together to provide services to different organizations throughout the entire community. Good Deeds Day is an international celebration of people doing good deeds. This year Pittsburgh will serve the community on Sunday, April 2, 2017! Since its launch in 2007, this annual tradition of good has attracted an ever expanding number of participants and four years ago, Pittsburgh was invited to participate. The Jewish Federation Volunteer Center became the central agency organizing the event, with hundreds of community members spending their day volunteering. In 2016, 1.5 million people volunteered in 75 countries worldwide. Longtime volunteer Lynne Jacobson, has donated her time to both events over the years. She has participated in such projects as making kosher lasagnas and hanging clothing at the National Council of Jewish Women's Thriftique. Volunteer activities such as these help people in need or lay a hand to those in the community. "I enjoyed both activities, but making the lasagna was the more meaningful because it has more immediate impact," explained Jacobson. Volunteering Jacobson's time didn't start with these events. She's been donating her time and lending a hand in the community since grade school. "I look at it as a responsibility as a member of the community an easy way to “give back.” I have been involved in volunteer “stuff” since 3rd grade and have been president of several organizations. My parents were volunteers, and I wanted to set an example for my children." Day 92 of 100 - The Pittsburgh Jewish community is grateful for the important work that synagogues do to educate the future leaders of our community. The Federation proudly supports those efforts through the FEEF program. Each year, $127,650 is allocated to 13 synagogue schools, based on enrollment. The funding received is just part of our investment in congregational education. This past year, Federation created a new department of Jewish Education and Community Capacity Building, to address the needs of synagogue education, infrastructure, and engagement. 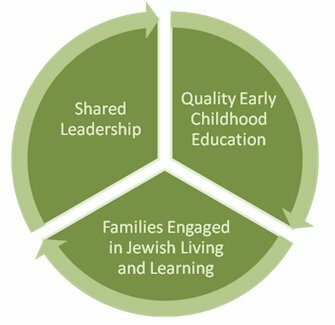 Day 91 of 100 - The Pittsburgh Jewish Early Childhood Education Initiative (JECEI) is an innovative and multi-faceted approach to preschool education that promotes Jewish identity through the involvement of parents in their children's learning. The program has already made a significant impact on Jewish engagement of young parents including previously unaffiliated. The Jewish Federation of greater Pittsburgh provides 25% of funding for each of three centers (another 25% is funded by the Shapira Foundation, and 50% of the total cost is funded by the center). In the fall of 2015, the newest Pittsburgh JECEI center opened at Temple Emanuel, with support from the Centennial Fund for a Jewish Future of the Jewish Federation of Greater Pittsburgh. Previously hosted at the Agency for Jewish Learning, the Pittsburgh JECEI program has found its new home at the Jewish Federation, giving it the opportunity to grow further and increasing its prominence. According to the Pittsburgh Jewish Community Scorecard. about 1,000 children are enrolled in a Jewish early childhood program (which includes nursery schools, pre-schools, and daycare centers with Jewish education). This highlights the need to provide a quality education and Jewish family engagement in the community. The estimated number of Jewish children in a Jewish early-childhood program declined by 8.6% from 700 to 640. The Pittsburgh JECEI initiative has been implemented at the Squirrel Hill JCC's Early Childhood Development Center, Temple Ohav Shalom Center For Early Learning, Community Day School Pre-K and Temple Emanuel for the past three years and has reached over 500 children during that time. In addition, since the start of Pittsburgh JECEI in the fall of 2011, our area has seen a marked increase in interest, by both administrators and educators, to implement this model. Day 90 of 100 - Amigour, a Jewish Agency subsidiary, provides public housing for the elderly with dire financial issues. 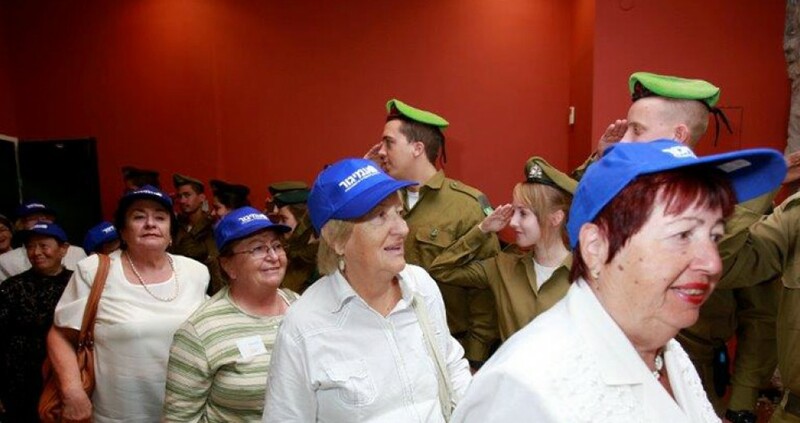 As of the beginning of 2015, about 7,500 older adults, most of whom are Holocaust survivors, live in 57 Amigour sheltered living homes that also offer social and cultural services. Amigour also manages 13,000 subsidized public housing apartments that are home to 40,000 Israelis. To answer a severe housing crisis in Israel (particularly for seniors facing financial difficulties), the Israeli government and The Jewish Agency have jointly invested NIS 1 to construct 2,650 new housing units for those who qualify for public housing according to the criteria set by the Ministry of Construction and Housing and the Ministry of Aliyah and Immigrant Absorption. •Currently there are 27,000 seniors on the housing waiting list. •Plans for 600 more units in 2016 and 2,00 units between 2017-20. Day 89 of 100 - Your support for the Jewish Federation of Greater Pittsburgh’s annual campaign helps at-risk kids in Pittsburgh in many ways: through social support at Jewish Children and Family Service; through food security at their Squirrel Hill Kosher Food Pantry; through counseling at the Jewish Community Center. But your support also helps at-risk kids in Israel through our overseas partner, the Joint Distribution Committee (JDC) in Israel. Tens of thousands of Israel’s children and teenagers live on the margins of society, lacking a safe home environment, suffering from neglect, and dropping out of school. One out of three Israeli children is poor; many are born into struggling and disadvantaged families and face overwhelming challenges. 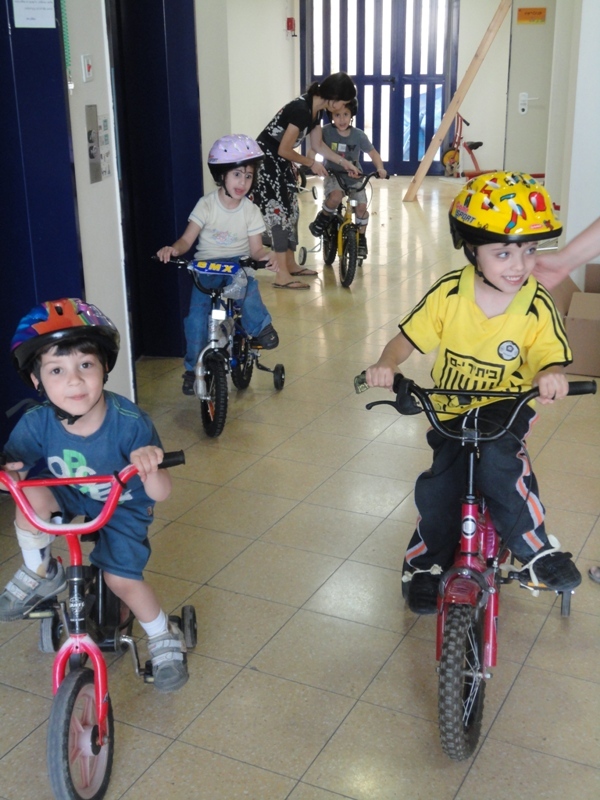 JDC’s early childhood and youth-at-risk programs give underprivileged Israeli kids the skills, knowledge, and sense of self to break out of the cycle of poverty. 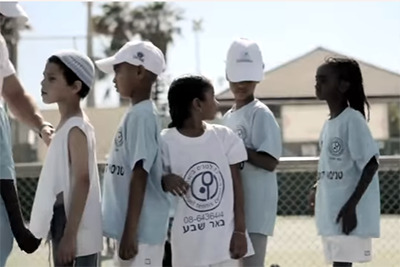 JDC’s support and leadership development help them become Israel’s leaders of tomorrow. 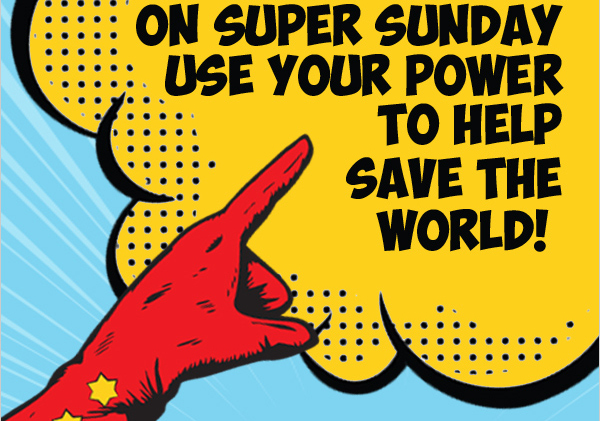 Day 88 of 100 - Every year, the Jewish Federation of Greater Pittsburgh calls on YOU to be a superhero for the Jewish world. How? By volunteering at Super Sunday, Federation’s mega phone-a-thon at the JCC Squirrel Hill, where the community comes together to make calls for donations that help strengthen our community at home, in Israel and wherever Jews are in need. Giving is a mitzvah, and so is asking others to give! Day 87 of 100 - Thanks to the scholarship endowment fund, 26 need-based Jewish teens from Pittsburgh were given the chance to experience Israel this year, and overall 107 Jewish teens received an Israel Scholarship from the Jewish Federation of Greater Pittsburgh to make the voyage. These numbers are slightly higher than last year, with 100 teens receiving a scholarship in 2015. Day 86 of 100 - The Jewish Federation has established a special connection with the country of Moldova and its capital city Kishinev. We provide one $38,000 grant to JAFI for both the summer camp and the after-school program. Day 85 of 100 - Secure Community Network is a project of JFNA and the Conference of Presidents of Major American Jewish Organizations. Our annual campaign allocation for JFNA supports this project. In turn, SCN has helped Pittsburgh Jewish organizations get U.S. Department of Homeland dollars to harden their building security. 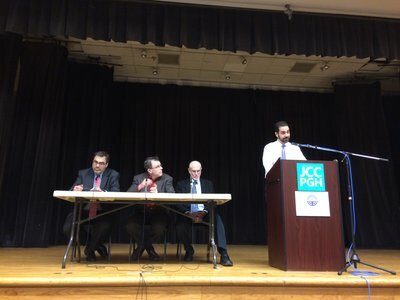 Day 84 of 100 - Refugees and the Jewish Experience: In response to the worldwide refugee crisis, CRC hosted a panel in an effort to educate the Pittsburgh Jewish community about the situation. Speakers included Aryeh Sherman (CEO of JF&CS), Mark Hetfield (CEO of HIAS), and Professor Michael Kenney (associate professor of international affairs at the University of Pittsburgh). Additionally, we hosted a follow up program with the Foundation where Rabbi Danny Schiff looked at the refugee crisis through Jewish texts. Day 83 of 100 - As a result of the AJL restructuring, the JCC absorbed all of the teen programs formerly operated by the AJL. JTeenPGH, as the JCC calls its collection of teen programs, consists of JLine, the Diller Teen Fellows, Hazamir Choir, and JServe. JLine (Formerly JSITE), provides Jewish education for 8th-12th graders from all Jewish backgrounds. JLINE programs prepare individuals to think critically, feel responsible to the Jewish people, and participate in Jewish communal life. The program is funded by teh Jewish Federation of Greater Pittsburgh's Annual Campaign. 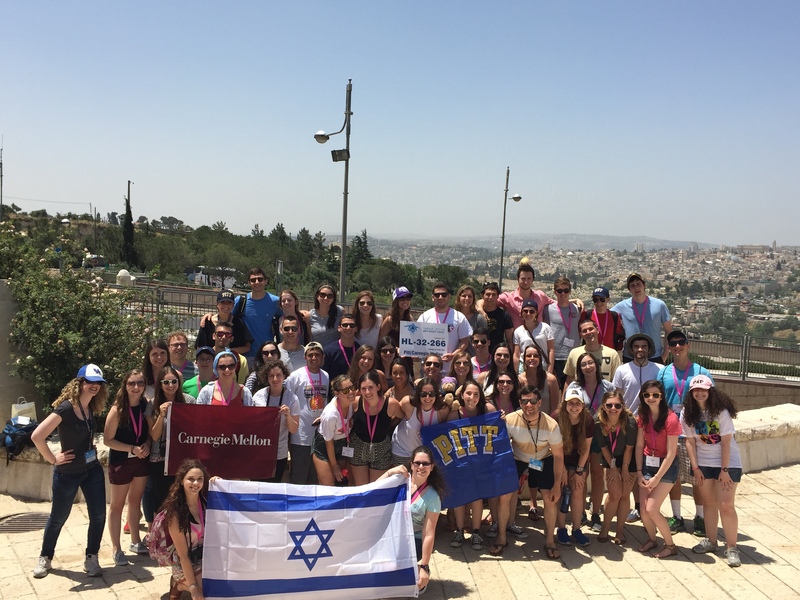 In 2014 the program underwent a complete transformation, moving from a semester to trimester system, offering flexible scheduling and implementing new partnerships with are organizations such as the Holocaust Center and the University of Pittsburgh Jewish Studies program. Most importantly, JLine revamped its curriculum to focus on core areas: Jewish Language, Jewish History, Jewish Peoplehood, Jewish Text and Hebrew. These changes have resulted in increased enrollment and positive feedback from teens and parents. Day 82 of 100 - JPRO is a professional development and networking opportunity for professionals working in the Jewish Community aimed to connect, educate, inspire and empower the community. Pittsburgh will kick off the season of networking and learning today at JCC Pittsburgh where the Ira and Nanette Gordon Community Professional Achievement Award will be presented. Day 81 of 100 - The Papernick Family Foundation, in partnership with the Jewish Federation’s Centennial Fund for a Jewish Future and the Foundation for Jewish Camp, is offering $1,000 grants to children attending Jewish overnight camp for the first time for a period of 19 consecutive days or more. Day 80 of 100 - Pittsburgh Jewish organizations started out settling immigrants. They moved hundreds of Russian families here in the 1980s. 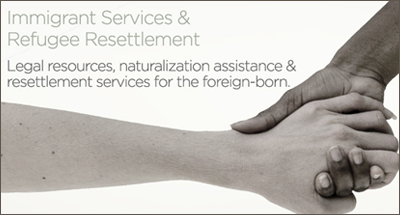 Today, private Annual Campaign gifts enable us to leverage government dollars to settle all kinds of immigrants and refugees. 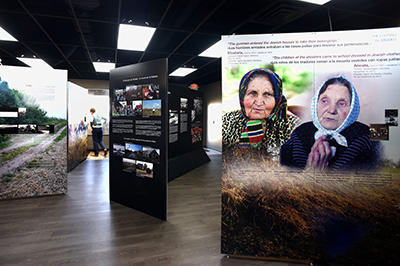 Day 79 of 100 - In Celebration of Life captures images and testimonies of Pittsburgh area Holocaust survivors so that we are able to learn from and celebrate their lives. The project includes 23 participants in total. Check out more of the Celebration! Day 78 of 100 - Yom Hashoah or Holocaust Remembrance Day is a day we commemorate the six million Jews who perished in the Holocaust. The Community Day School honored the memory of those who perished and celebrated their human spirit through song and this lovely video. Day 77 of 100 - This project aims to provide students in the Galilee Region with unique, hands on experience in the development process; to prepare students for commensurate engagement in local tech and engineering industries; to provide students with a framework for direct knowledge transfer from industry professionals; to bring students from diverse backgrounds and polarized communities together around collaborative innovations efforts; and to promote innovation and entrepreneurship in the Galilee. Day 76 of 100 - On Monday, Dec 12th at JCC Pittsburgh, Family Life Director at the Jewish Community Center Lauren Elson Bartholomae will receive the Ira and Nanette Gordon Professional Achievement Award.The award was established to inspire communal service on behalf of our community by recognizing an outstanding community professional in the early stages of their career. She was selected because she has demonstrated exceptional ability and commitment to providing innovative family programming. Lauren Bartholomae is a shining example of the incredible leadership we have in our community. 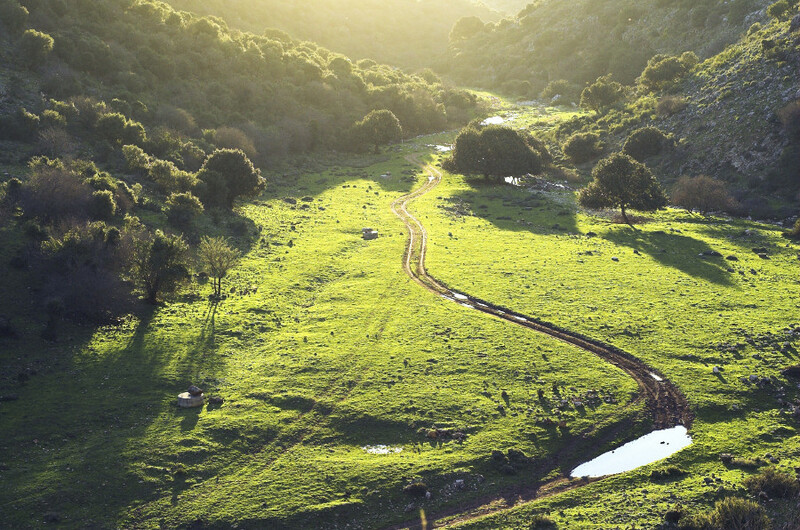 Day 75 of 100 - The Heschel Center for Sustainability works to promote a sustainable Israel. Their goal is to create a just and cohesive society, a robust and democratic economy, and a healthy and productive environment for all its residents, now and in the future. Day 74 of 100 - The SteelTree Fund is an organization that funds innovative social entrepreneurship projects that engage and benefit next generation donors to strengthen the continuity of the Pittsburgh Jewish community. They provide grants between $500 and $5,000 which is limited to the Pittsburgh Jewish community. Projects will be considered only once per calendar year, though an organization or individual can apply for more than one project within a calendar year. This year the Jewish Federation of Greater Pittsburgh's SteelTree Fund gave $13,875 in fourth-round 2015-16 funding : Community Day School (CDS), The Friendship Circle and Chabad of Pittsburgh. 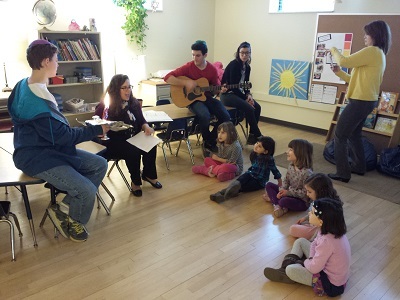 The grant to CDS funded a new program called Shabbat-in-a-Box. The goal of the program was to engage families with CDS through participation with CDS-involved families at Shabbat dinners. Shabbat-In-A-Box has already become a success, selling out all of their available months for orders in less than 10 minutes during the first run. A grant to The Friendship Circle helped the organization fund a rooftop gardening club that will use new space to build client-volunteer relationships. The grant to Chabad of Pittsburgh will support Chabad’s second year of the very popular Love and Knaidels program. A women’s cooking program, Love and Knaidels offers participants the fun of cooking together and the joy of giving food to others. In the next fiscal year, three rounds of funding will offer additional opportunities for organizations to apply for grants. Application deadlines for each round, respectively, Nov. 7, 2016; Jan. 30, 2017; and April 17, 2017. For more information or to apply, visit: http://jfedpgh.org/steeltree. Day 73 of 100 - Pittsburgh sends more young adults per capita to train on leading Jewish organizations than anywhere else in the U.S. at Jewish Federations of North America's NYLC. They go on to lead organizations here and around the world. Day 72 - Onward Israel is an eight-week summer internship in Tel Aviv designed as a Birthright follow-up program and intended for Jewish undergraduates. The program provides a significant second Israel experience at an affordable price to strengthen Jewish identity while building students' resumes to make them more competitive in the workplace. It also helps to sustain high levels of Jewish engagement on campus. Day 71 of 100 - Yad Sarah was founded in 1976, and today became a leading Israeli organization through 6,000 volunteers providing free or nominal cost home care support services to more than 500,000 individuals annually. The mission is to improve the quality of life for those with special needs – the young and old sick, injured, disabled and abused - by enabling them to function in their natural surroundings. Yad Sarah operates via 107 branches across Israel, all managed and staffed by volunteers. The most widely used service is the free lending of medical equipment. Other services include transportation for people in wheelchairs, 24/7 Emergency Alarm Center, outreach to the homebound, day rehabilitation centers and legal and dental services for seniors. Day 70 of 100 - The Aleph Institute offers a wide array of services to Jewish men and women who are ignored by society and their families. They stand on the pillar that no Jew is forgotten and no Jew is alone. Through programs including Torah study, rabbinical visitation and mentoring, and the Holiday food program, Aleph institute focuses on helping Jewish inmates during incarceration. To help ease the re-entry process into community, the offer programs aimed at the transition period, which is often difficult for former inmates. Aleph also attempts to reduce the need for incarceration, by providing rehabilitative and community programs to individuals while they live at home with their families. Since the 1980's, the prison system in the United States has grown exponentially, which has caused chaplaincy services to miss many incarcerated Jews. In 1991,the Aleph Institute opened in Pittsburgh. The demand for programs and services has grown with the prison system, and in 2005 the Institute purchased a facility in the heart of Squirrel Hill, where it continues to provide programming for the men and women incarcerated and their families on the outside. To speak with a staff member regarding any one of Aleph's Programs please call 412-421-0111. Day 69 of 100 - The Bill & Melinda Gates Foundation has generously offered to match up to $1000 for any non-profit who raises funds through Facebook today, #GivingTuesday. Help us take advantage of those dollars by giving today! Or give us a call anytime and give through our donor center at 412.992.5252 and take advantage of the Giant Eagle Foundation dollar-for-dollar match. 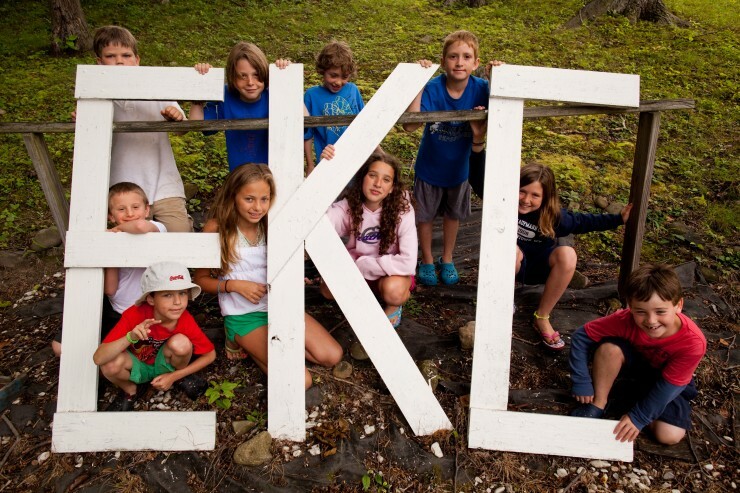 Day 68 of 100 - Emma Kaufmann Camp is part of a new pilot project, the Hiddur Initiative, from the Foundation for Jewish Camp aimed at helping camps become more effective at dilivering Jewish education experiences to the campers and the staff. 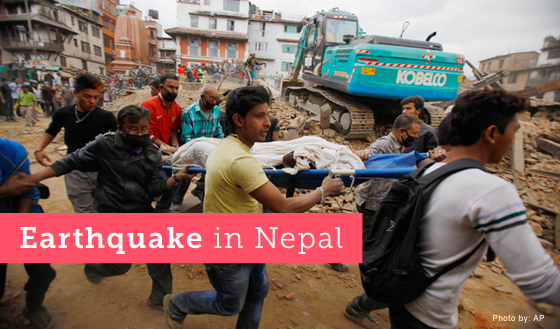 Day 67 of 100 - Jewish Federation of Greater Pittsburgh's international partner JDC was first on the ground in Nepal after the 2015 earthquake, helping stranded Nepalis, Israelis and Americans. Annual Campaign money makes that speed possible, helping all over the world such as October 2016 in Haiti. 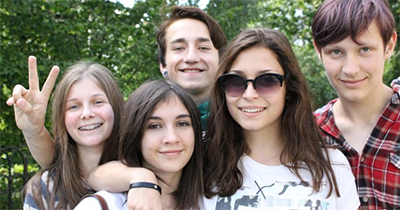 Day 66 of 100 - The after-school programs in Kishinev, Moldova, help to build a sense of identity and community for Jewish children and youth. The JAFI programs are an extremely effective tool for securing the Jewish future in Moldova and throughout the Former Soviet Union (FSU). 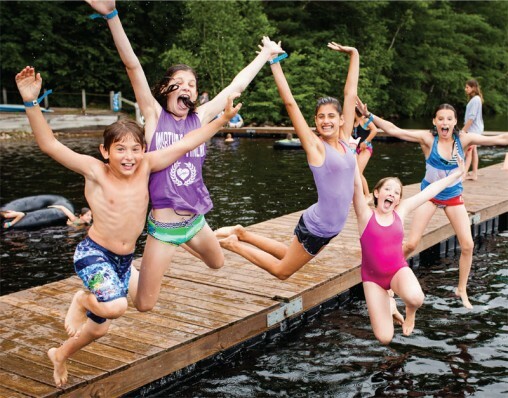 In a part of the world where Jewish life remains fragile and susceptible to the detrimental effects of assimilation and attrition, camp and after-school programs serve as a source of vitality and inspiration for thousands of young Jews each year. 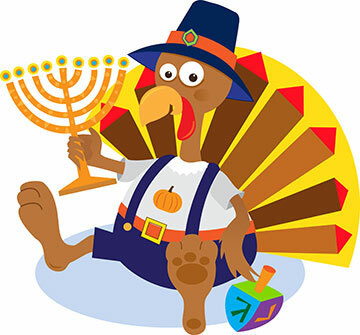 In 2015-2016, the after-school program held a number of special events that included a community-wide Sukkot celebration, a festive Chanukah event, a Jewish Film Festival, Tu B’Shvat celebration, a Passover Seder, and Yom Ha’atzmaut. We provide one $38,000 grant to JAFI for both the summer camp and the after-school program. 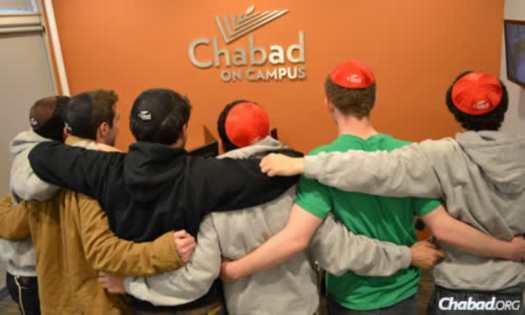 Day 65 of 100 - Chabad on Campus is a Jewish student run organization that offers a variety of educational, religious, social and cultural programming for students. It serves 9 universities and colleges in the Pittsburgh area. They offer support from professional rabbinical mentors and welcome all to the organization. View the Chabad on Campus video for the Unviersity of Pittsburgh. Day 64 of 100 - Give Thanks and enjoy Thanksgiving with your friends and family. All of November, the Squirrel Hill Food Pantry collected items to help their clients enjoy a Thanksgiving meal. This year many donations were recieved, including a large donation by Senator Jay Costa. Thanks to his donation, the Squirrel Hill Food Pantry was able to provide 20 families with a turkey. Day 63 of 100 - The General Assembly is the premier annual gathering of thousands of top Jewish communal change-makers. It convenes volunteer and professional leaders from Federations across North America, along with those in the business of Jewish philanthropy from around the world. The GA inspires participants while highlighting the extraordinary work of the Federation system and our partner agencies. It’s three not-to-be-missed days of dynamic speakers, thought-provoking sessions, networking, best-practice sharing and celebration. Jewish Pittsburgh brought a delegation of over 40 professionals and volunteers to the 2016 GA. This year’s event was chaired by Pittsburgh’s own Cynthia D. and David Shapira. Ilene Rinn, Senior Manager of Planning and Allocations, and Amy Cohen, Manager of the Volunteer Center, both led breakout sessions, highlighting the great things we do at the Jewish Federation of Greater Pittsburgh.The keynote speech was given by Rabbi Lord Jonathan Sacks, focusing on Jewish unity. Day 62 of 100 - Riverview Towers provides retirement living at affordable rates that include an apartment, a prepared dinner each day, free parking and all utilities. Riverview residents can choose to participate in a wide array of programs and activities including a fitness center, salon, housekeeping, guest speakers and Shabbat services with guest community religious leaders. *The average age of the residents is 83 - 65%are female, 59% are Jewish. Day 61 of 100 - With support from the Jewish Federation of Greater Pittsburgh, Moishe House Pittsburgh (MHP) opened in August 2012, in response to interest from local Jewish 20-somethings who were eager to bring this scalable model to their community; since then, MHP has reached 5,000+ in total attendance through 300+diverse programs, and counting. 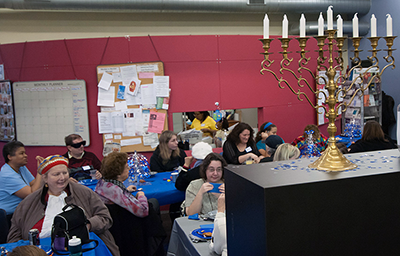 MHP’s goals and activities directly align with those of the Jewish Federation of Greater Pittsburgh, especially in the area of Jewish Community Life as MHP enables new and/or deeper involvement in the Jewish community to strengthen Jewish identity and connection for many hundreds of 20-somethings every year. 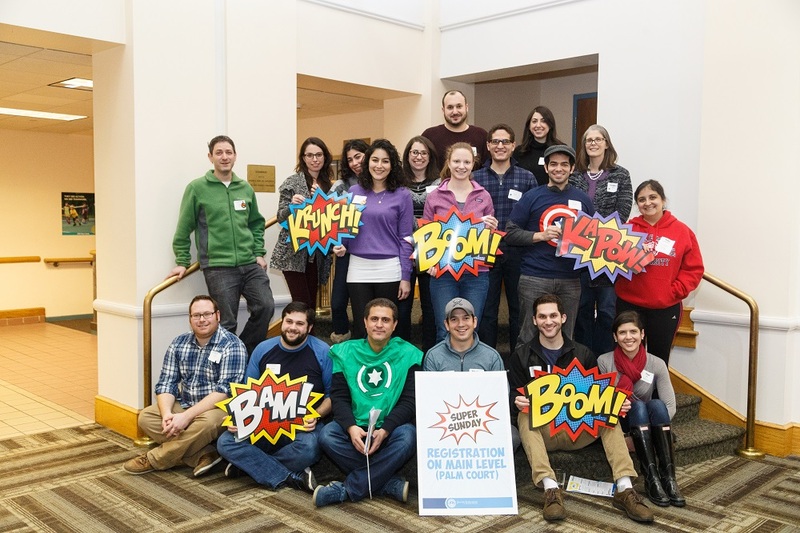 MHP’s programming, activities and outreach are driven by five residents (Jewish 20-somethings) who are all professionals/full-time students outside of Moishe House, and dedicate their spare time to building vibrant Jewish community from their home. This home-based and peer-led approach bridges the gap in engagement and effectively serves as a missing link to an elusive, new demographic in the Jewish community. Find out more about Moishe House events by signing up for their mailing list. The JDC and Jewish Federations in the United States teamed with OSE to create a Resilience Center for French Jews suffering trauma from the attacks. JDC interviewed Patricia Sitruk, Director-General of the French Jewish social services organization Œuvre de Secours aux Enfants (OSE), to get her thoughts on how the Jewish Federation and JDC helped. Q: Describe the Resilience Center. How has it helped your community? 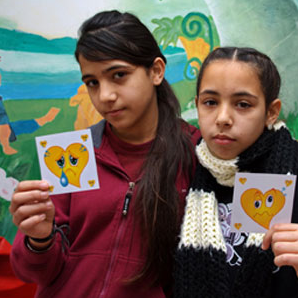 to the Jewish community of France, affected by the general climate of violence and anti-Semitism, especially the most vulnerable: children and teenagers attending Jewish schools, along with the elderly and disabled persons cared for at Jewish institutions.The program is led by professional therapists who share appropriate, specific trauma training adapted to these dramatic situations and to specific types of vulnerable people. The program provides effective, rapid support and help in both the immediate and longer-term aftermath of violent attacks on Jewish sites and people. The center’s therapists actively train Jewish teachers and educators and social service workers, heightening their awareness of how to address and deal collectively with violent anti-Semitic acts and sentiments. 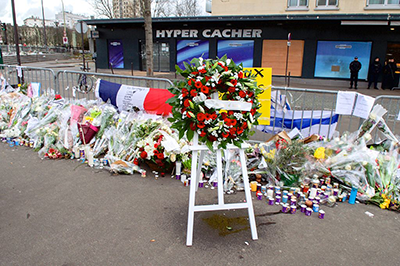 The attack of January 9, 2015 on the Hyper Cacher grocery store in Paris — killing four Jews, injuring one severely, and taking several customers hostage — was a peak in violence and will bear long-term consequences. The climate is one of stress and anxiety for many Jewish people in France, heightened by the attack of November 13 in several locations in Paris, which created a new horrible situation for all French people, Jewish and non-Jewish. Q: What does resilience mean to you, particularly at this moment in time? A: Going back to a normal life after these kinds of attacks is a challenge for everybody. Learning to accept the fact that we now have to live our daily lives under the permanent threat of deadly violence is equally difficult. Still, I believe we are offered only one choice: going forward with our lives and our projects, while being more aware than ever of the preciousness of life. In this period of Chanukah, it is essential to believe we have the power to make things change for our children and future generations. Q: Why are partnerships with organizations like JDC or UJA-Federation of New York important? A: Partnerships with JDC or UJA are not only important; they are vital for carrying out our projects that in turn help create a solid and stronger society, able to resist both individually and collectively the threats the world is facing today. We are ever grateful for your support and help. Q: What do you see as the greatest need for the French community? A: The French community needs reassurance, and reassurance means increased and long-lasting security measures in Jewish institutions, schools, and community centers, along with psychological support both for the general Jewish population and the most vulnerable among us — schoolchildren, the elderly, etc. The French community also needs to know the specific threats it is facing are addressed and understood by the French government. Q: After the attacks, what do you observe as the attitude on the streets, in synagogues, etc.? How are French Jews feeling? A: French Jews, along with the general French population, feel threatened and targeted in their daily lives. Their sense of security, their carefree nature, has been shattered. In the immediate aftermath of the attacks, the streets of Paris were empty, as were the shops, the cafés and restaurants, and public transportation. Though things have understandably still not gone back to normal, people are now trying to resume their daily lives and routine. As for the synagogues, in my personal experience, I believe they have been sought out maybe more than before by many Jews who were not until then “regulars,” out of the very human need to gather when confronted with horrible crimes and threats — to seek reassurance, strength, and answers as to how to deal with this new situation and go on living. Q: Have there been changes in terms of culture or attitude since the Hyper Cacher attacks? People have not stopped shopping in kosher shops, and they have not attended fewer religious services, but they need the help and support of the Resilience Center to maintain that uvacharta baHayim (“And you will choose life”) position in their daily lives. Q: What is important for other communities, particularly the American Jewish community, to understand right now? A: The French Jewish community needs to know it is not facing this threat alone, that we are part of one group that will stand for each other and help each other in times of need. We received many messages and gestures of support from all over the world, and especially from the American Jewish community, with whom we have a very close connection. It was and still is essential for us to know that we are not alone. The support and friendship of the American Jewish community is a crucial factor in our dealing with this situation. Q: What do you see for France moving forward? Are you hopeful? A: Making a prognosis at this moment is very delicate. It seems to me most of the things we had thought firm and strong and had built on for such a long time are evolving into something we cannot foresee. But as head of a social organization, I believe in the ability of man to make things change and matter. If we are able to help children and people in need and change their weakness into strength, we are actually contributing, on a small scale, to a stronger and positive society. Thank you for helping us do so. Day 59 of 100 - The students of the Hillel JUC's Shabbat and Holidays Committee collaborate with staff to create vibrant, pluralistic, and engaging celebrations throughout the Jewish calendar year. Two of the key responsibilities of the Shabbat and Holidays Committee are working with other students to create themes for Shabbat dinners and helping to set up for Shabbat services and dinner. Every Friday night, the Joseph Stern Building sees three simultaneous student-led services - Reform, Conservative and Orthodox so that all students can observe the day in comfort. 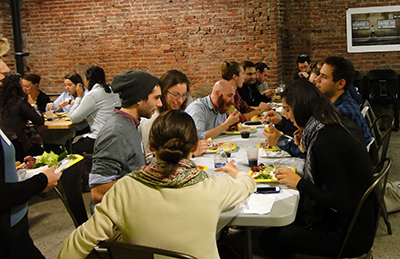 Following services, over 100 students gather for a Shabbat meal. The students often plan the meals around special themes that include culinary, cultural, and educational topics. Afterwards, students are welcome to enjoy the spirit of the Sabath with friends in our game room, student lounge, and cafe. Day 58 of 100 - We have partnered with Vibrant Pittsburgh for the fourth consecutive year to allocate $50,000 to 13 organizations that represent or benefit diverse and/or undeserved communities in the Greater Pittsburgh area. Communities served by the organizations include: African Americans, Hispanics, Asian Americans, LGBTQ+, Muslims, Christians, Jews, Hindus, Buddhists, Zoroastrians, people with disabilities and refugees in various counties throughout the region. 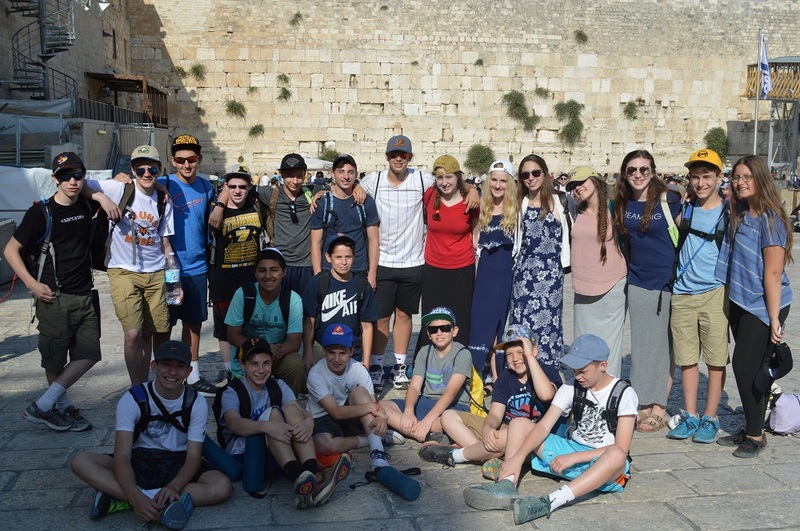 Day 57 of 100 - Community Day School offers the opportunity for their 8th grade class to partake in a two-week adventure to Israel after graduation. 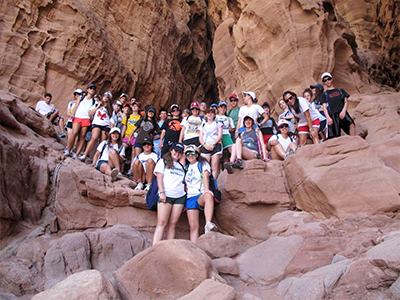 The students visit the Karmiel-Misgav region, Jerusalem, Masada, the Dead Sea and several other beautiful locations. 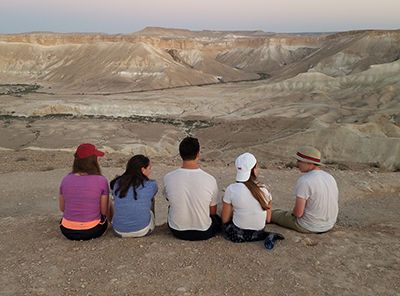 The trip is the capstone of their CDS education and hopes to solidify the connection between Israel and the students' Jewish identity. Day 56 of 100 - Through our Passport to Israel savings program and our Israel Scholarship program, eligible students can receive up to $5550 to help defray the cost of eligible Israel programs. Each student has a unique story, and we listen to all of them when awarding scholarships. Read Josh’s and Orli’s stories and learn about all of the ways our Annual Campaign helps those in need. 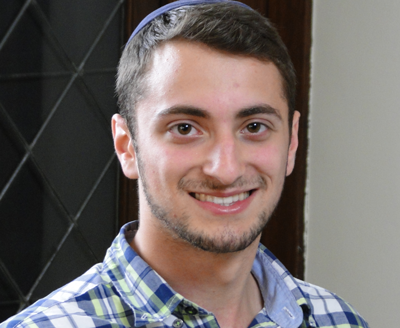 Josh Hertzberg went to Yeshiva in Israel this year. This is not surprising if you know that he went to a Jewish day school, participated in NCSY (an orthodox Jewish youth group), and belongs to an orthodox synagogue. But this was not always the case. Josh spent the early part of his childhood in upstate New York, where his family never had any intention of sending their son to Israel after high school. While they practiced most of the Jewish holidays, and kept a kosher home, the Hertzbergs were not shomer Shabbat and would never have described themselves as orthodox. Over the years, Josh and his family, influenced by friends as well as the larger, vibrant community in their new home in Pittsburgh, started becoming more religious and more active in Jewish life. 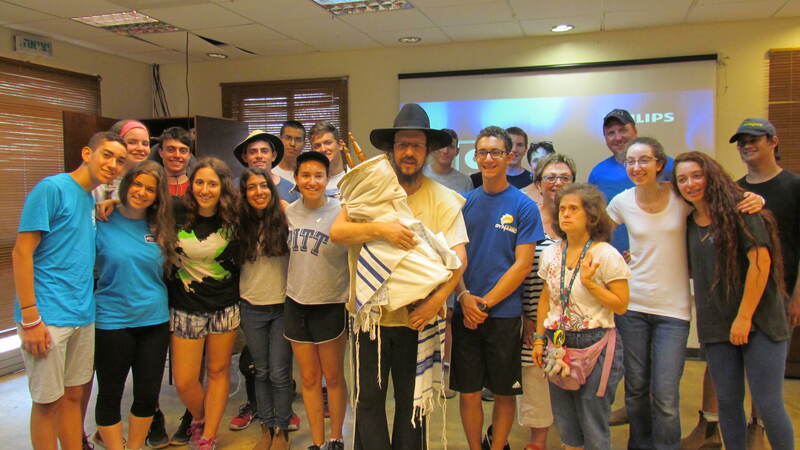 Through beneficiaries of the Jewish Federation of Greater Pittsburgh, such as Hillel academy where he received his high school education, Josh was encouraged to look into a gap year Israel program. 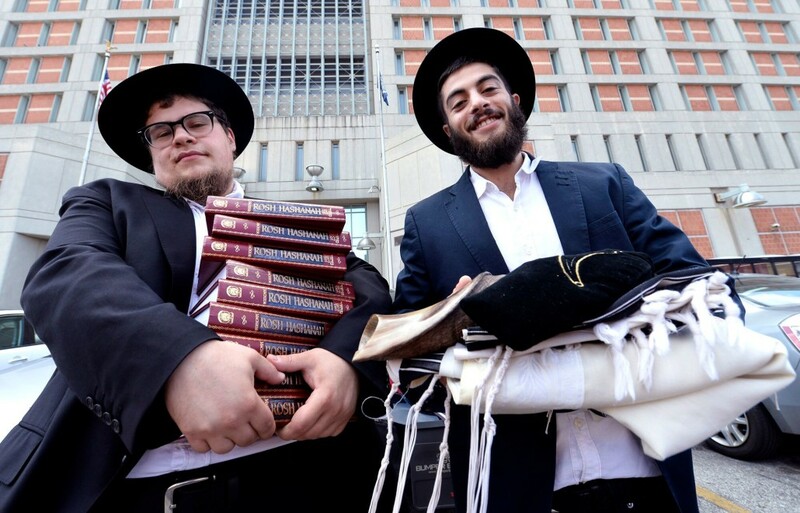 He had been to Israel during his high school years, including participating in NCSY’s summer Kollel program, but until recently, he never imagined he would want to spend a whole school year studying at a Yeshiva. In fact, had it not been for the scholarship opportunities provided by the Federation, the Hertzbergs would not be able to afford his year in Israel. Growing up, Orli Bernstein never felt a strong connection to the Jewish world. 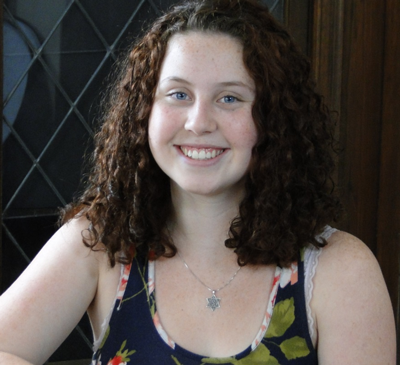 Though her family regularly had Shabbat dinner and she swam with the JCC’s Sailfish team, Orli never belonged to a Synagogue, went to a Jewish summer camp, or participated in Jewish youth groups. She struck out on her own to find volunteer opportunities and activities to participate in, never worrying whether they had a Jewish connection. As she progressed through school, Orli became interested in studying abroad and, while searching for a program, found the Alexander Muss High School. Immediately, she was overcome with a deep desire to spend time in Israel. Orli felt that spending time on a program, and in a country, surrounded by Jews and Judaism would help her find the connection to her people which she never felt before. However, her family did not possess the means to send Orli on a semester long program which cost over $15,000, and they began looking for financial aid. That is where with The Jewish Federation of Greater Pittsburgh stepped in. With help from the Passport to Israel program, along with other need based scholarship supported by the Jewish Community Foundation, Orli was on her way to Israel. 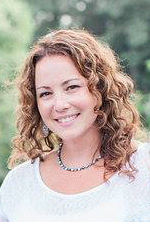 She found a connection to the Jewish people which she never had growing up, and has come back to Pittsburgh with a strong desire to participate in Jewish activities, including synagogue participation, and has become a strong advocate for Israel. Day 55 of 100 - JCC Pittsburgh houses PT (physical therapy) at the JCC to serve the community and JCC members and help them with any physical handicaps and pains. The center is run by Dr. Scott Rosen and Kristin Siksa and powered by the Jewish Association on Againg (JAA). Please call 412-697-3505 for hours and appointments. Day 54 of 100: Our State College Campaign directly supports Penn State’s Hillel which provides services to the over 5000 Jewish students on campus. 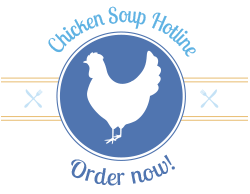 Along with being a pluralistic, welcoming, and inclusive environment, sick students are able to call the free chicken soup hotline to receive a bowl of Jewish penicillin. Day 53 of 100 - Early steps taken to establish and sustain the Early Intervention Center for Children in Carmiel created the groundwork for expanding efforts to help children with disabilities in our partnership region. 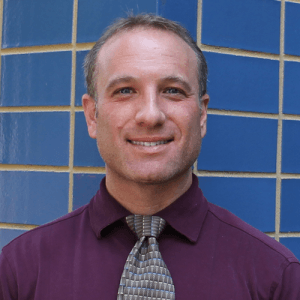 Now, Israel Elwyn's work focuses on growth, continuing to lead the field by developing innovative programs, and ensuring that the EIC has the capacity to accommodate additional children. To that end, IE's research and experience has led them to focus on ways to use technology as the key to an even higher level of engagement with and empowerment of children with autism, Funds granted to them last year by the Annual Campaign were used to purchase iPads and adaptive activity chairs. 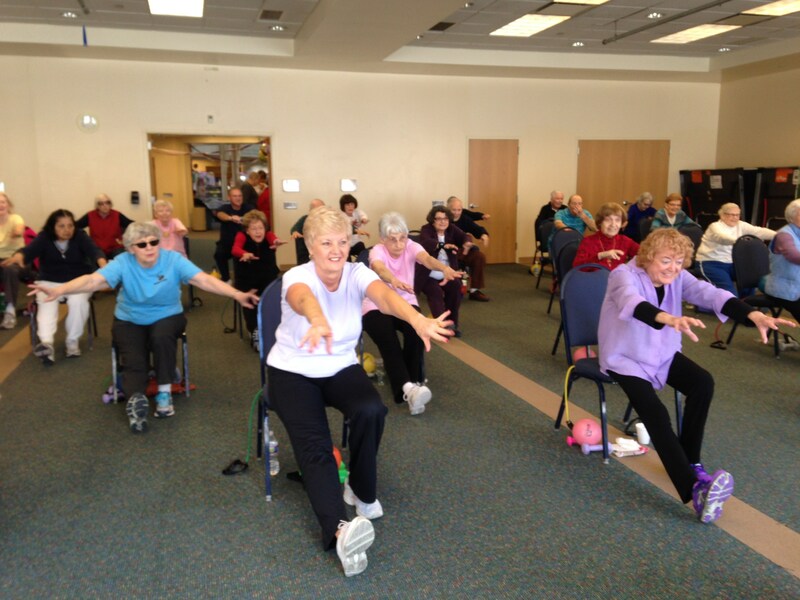 Day 52 of 100 - The JCC in Squirrel Hill and the South Hills offer comprehensive fitness and wellness programming for older adults, including SilverSneakers Fitness Programs, Silver&Fit and JCC classes designed specifically for older adults and taught by certified instructors. In addition to these programs, class participants and members have access to the JCC’s comprehensive fitness facilities, indoor swimming pools, gymnasiums and general locker rooms. Classes are offered Monday thru Friday. The schedule is available on JCC Pittsburgh's website. 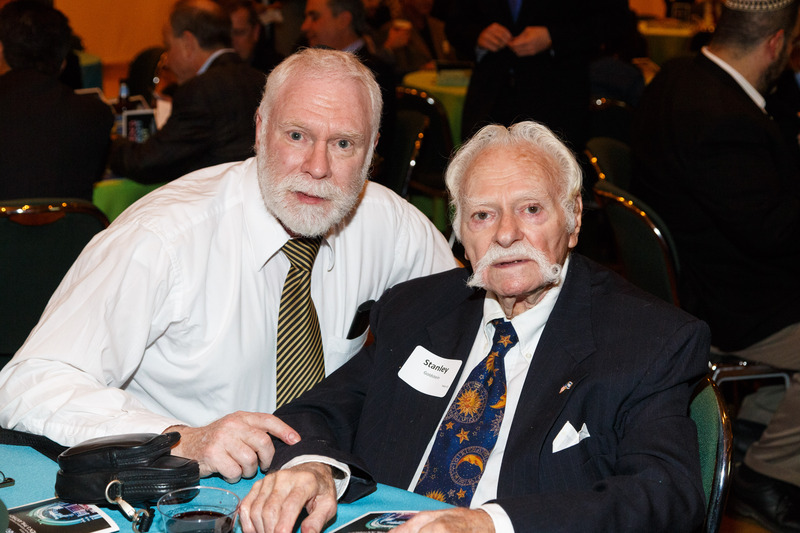 Day 51 of 100 - Last year, we had the pleasure of including and honoring members of our local chapter of Jewish War Veterans in our Men’s Night Out celebration. Thank you to all veterans for your service and sacrifices you have made to keep this this country safe. May God bless you and your families on this Veterans Day and for years to come. 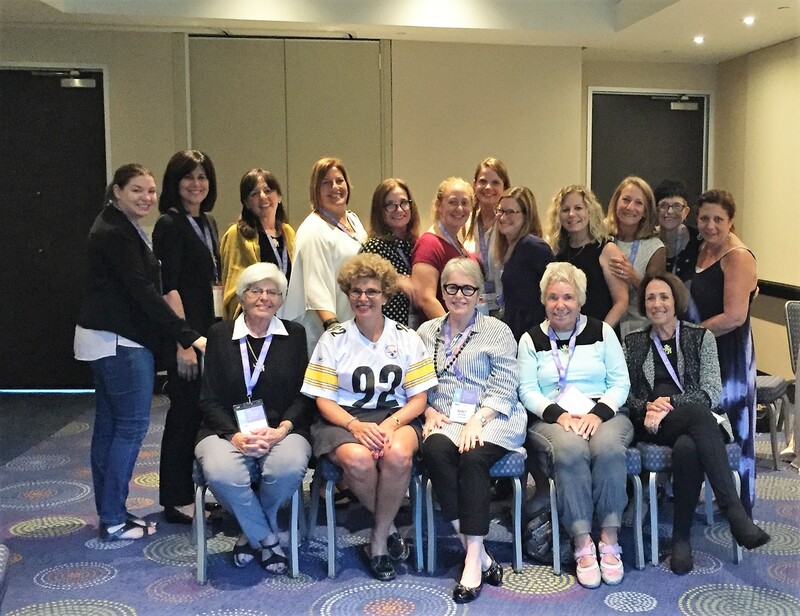 Day 50 of 100 - In September, 21 women representing Jewish Federation Pittsburgh traveled to Washington, D.C. for the 2016 International Lion of Judah Conference. Our community joined over 1300 women from 81 communities and five countries. The ladies heard from several incredible speakers like Lisa Friedman Clark, UJA-Federation of New York, who lost her husband on 9/11 and relied heavily on the support of UJA's beneficiary agencies to piece her life back together and former Secretary of State Madeline Albright who shared her thoughts on the current state of affairs in the US post 9/11. Over 1,300 Lions were in attendance who collectively pledged $31.5 million and Pittsburgh's own Nancy Ostrow was honored with the prestigious Kipnis-Wilson/Friedland award. Day 48 of 100 - Jewish Community Relations Council (CRC) hosted a training session at Federation for Pittsburgh public high schools to learn how to register people to vote and recorded a promotional video with the students. These students will work to register all 18-year-olds in their schools, as well as adults in the crowd during evening football games. We are also putting together a mock election for Pittsburgh public high schools. The Volunteer Center will host the mock election electronically on its website and we will provide the election data (school, gender, race, religion, etc.) to social studies teachers to be used as teaching tools in the classroom. Day 47 of 100: The Community Scorecard is a tool used to review datapertaining to our performance as a community. This too lallows us to assess our progress toward becoming a morevibrant and engaged Jewish community. 1. Accelerating the culture change of focusing onPerformance Measurement within the community byhosting a professional/volunteer development workshopon Creating a Data-Driven Culture in Your Organizationand continuously providing resources to organizationstrying to overcome data-related obstacles. 2. Moving to a more outcomes-focused approach in itsown data collection efforts by writing a definition of aCommunity of Excellence; the Community Scorecardbegin collecting information using these outcomes this coming year. Day 46 of 100 - HaZamir Pittsburgh, The International Jewish High School Choir is one of 31 chapters around the world of HaZamir. It provides Jewish teens with a high-level choral experience and a trans-denominational opportunity to forge close bonds while pursuing a common goal: music. Chapters rehearse a shared repertoire locally each week, and then join together with over 400 teens in New York City every spring for a Festival weekend. In addition to the festival, HaZamir Pittsburgh hosts our sister chapter in Karmiel/Misgav every spring, for a week of home hospitality and joint programming between Pittsburgh and Israeli teens, and a packed Community Concert at the JCC. HaZamir is open to all Jewish musical teens in grades 8 – 12 who can match pitch and hold their own in a 4-part arrangement. Day 45 of 100 - With a quarter of a million Jews, Argentina is home to one of the largest Jewish populations in the world. Your support for the Jewish Federation of Greater Pittsburgh’s Annual Campaign helped the Jewish community rebound from the Israeli embassy bombing in 1992, a devastating 1994 terrorist attack and an early 21st century financial crisis. 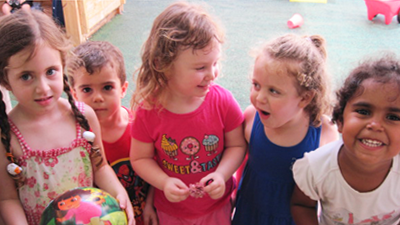 Through the Jewish Federation’s overseas partner, the Joint Distribution Committee (JDC), your support for the Annual Campaign helps Jewish kids learn about their heritage at Jewish preschools, gather at the Buenos Aires Jewish Community Center from ages 2 to 17 and travel to Israel. 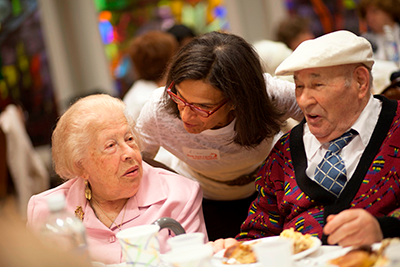 Your support for the JDC helps older Jews in Buenos Aires who have not had as much Jewish education learn about holidays such as Passover and connect with their heritage through supportive programming. The rebuilding of early childhood education has become a model for Jewish communities around the world. JDC has expanded this model in other Jewish communities in dire need of support. Through the Jewish Federation, you help to keep Judaism alive for the next generation. Day 44 of 100 - The alumni receive ongoing leadership training, providing them opportunities to take the lead nationally and locally. Day 43 of 100 - Tonight, men from all over the Pittsburgh community will gather for the 3rd annual Men's Night Out. As it does annually, the Men's Philanthropy division of the Jewish Federation of Greater Pittsburgh will celebrate the good their giving does locally and around the world. We are excited to present football great Joe Theismann as our guest speaker at this year's event, and in the past have featured Henry Winkler and Herm Edwards. 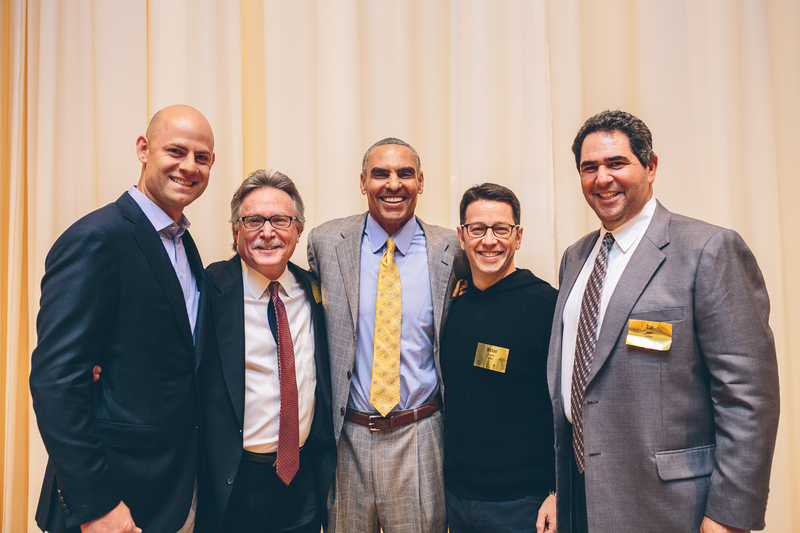 The Men's Philanthropy division promotes Jewish men gathering to socialize, network, consider important world issues and give back to the community. It also features the Shofar Society, a giving society for men who contribute $5000 or more to the annual campaign. To find out more about Men's Philanthropy or the Shofar Society, contact Joel Schwarz at jschwarz@jfedpgh.org or 412.992.5218. Day 42 of 100: Your support for the Jewish Federation’s Annual Campaign helps adults with mental illness and intellectual disabilities get life skills they need to keep them healthy. That help creates positive ripples in the community. It helps their parents get back to work and have peace of mind. It helps family members and neighbors gain back healthy, productive members of the Jewish community. It helps caregivers, doctors and so many more people. The Howard Levin Clubhouse is a warm, welcoming community where adults whose lives have been disrupted by mental illness come together to discover and develop their strengths and abilities, build self-confidence, and gain valuable social and vocational skills that prepare them for more productive, rewarding, meaningful lives. The Clubhouse members are adults from all walks of life, who have in common a history of mental illness and the desire to grow, develop and work together toward the goal of recovery. Giving through the Annual Campaign enables Jewish Residential Services to make the investments that the organization needs through vital unrestricted dollars. But your giving also leverages other money, helping JRS get county and state healthcare dollars, city support for a new building and many other sources of support that multiple the effect of your giving. 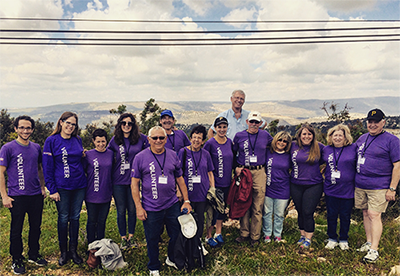 Day 41 of 100: The Jewish Federation's Volunteer Center has led the Pittsburgh Jewish community to the great city of Karmiel and the Misgav region for the past four years and will embark on their fifth trip this March. 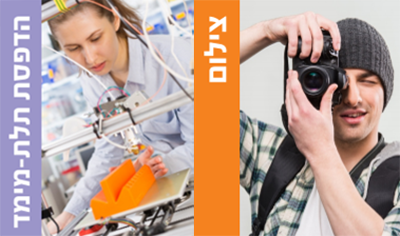 Karmiel and Misgav are Pittsburgh’s partners in Israel in the innovative Partnership2Gether (P2G) project, which builds people-to-people connections between Israelis and Jewish communities in the Diaspora through an array of educational, cultural, and economic initiatives. If you're looking to embark on this adventure call Amy Cohen at 412-992-5246 or visit the Volunteer Center website. 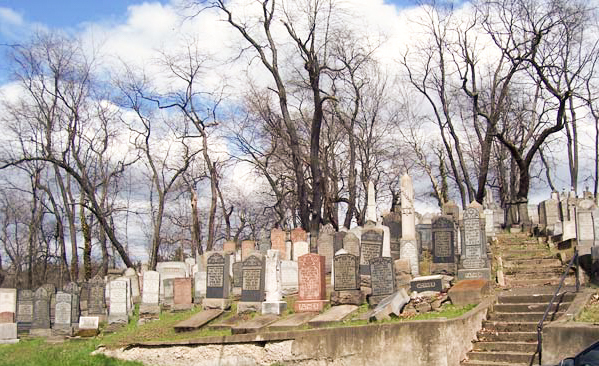 Day 40 of 100 - In 2015, to preserve Jewish cemeteries in the Pittsburgh region, the Jewish Federation convened the Jewish Cemeteries Task Force. The task force met three times to discuss, examine and plan for the future of Jewish cemeteries in Western Pennsylvania. The task force has defined, as the first step in its work, the comprehensive study of the cemeteries in the region. Research is now underway to collect data on each cemetery’s current and anticipated needs. In step 2, a consultant with expertise in Jewish cemetery management systems will analyze the data and recommend an organization structure that can meet the cemeteries’ needs. The task force will generate an evidence-based plan for the community’s cemeteries and then launch a fundraising campaign to make that plan a reality. The committee hopes to create a set of plans for the short- and long-term care for the local cemeteries that include a proposal for the structure of the supporting organization (including the Jewish Cemetery and Burial Association) as well as fundraising goals. Day 39 of 100 - Na'amat's 2016-2017 goals are to initiate lectures and workshops relating to the physical and emotional wellbeing of women. The lectures and workshops will take place in four languages; Hebrew, Spanish, English and Russian, and will be culturally sensitive and appropriate to each ethnic group, age and socio-economic background. The issues will relate to current health indicators, preventative actions, promotion of screenings, nutrition, physical activities, tools for improving lifestyle, family relationships, emotional health, and self-empowerment. Facilitation of the programs will be undertaken by medical professionals, professional teachers, social workers and paramedical experts. Day 38 of 100 - Yemin Orde Youth Village is located in the Carmel Forest region of northern Israel, just outside Haifa. It is home, school and safe haven to 440 at-risk immigrant youth from Ethiopia, the Former Soviet Union, Europe, Brazil and Israel. The youth at Yemin Orde have experienced trauma: from abandonment and isolation to family dysfunction and extreme poverty. With the help of the Village’s successful educational methodology, the Village Way, and its dedicated staff, educators and professionals, at-risk teens develop self-esteem, leadership skills, strong cultural identity and a positive outlook on life. Graduates receive a wide range of services including scholarships and emergency financial support. Youth at Yemin Orde face many challenges. Like their peers around the world, they are working to find out who they are, where they fit in and who they want to become. 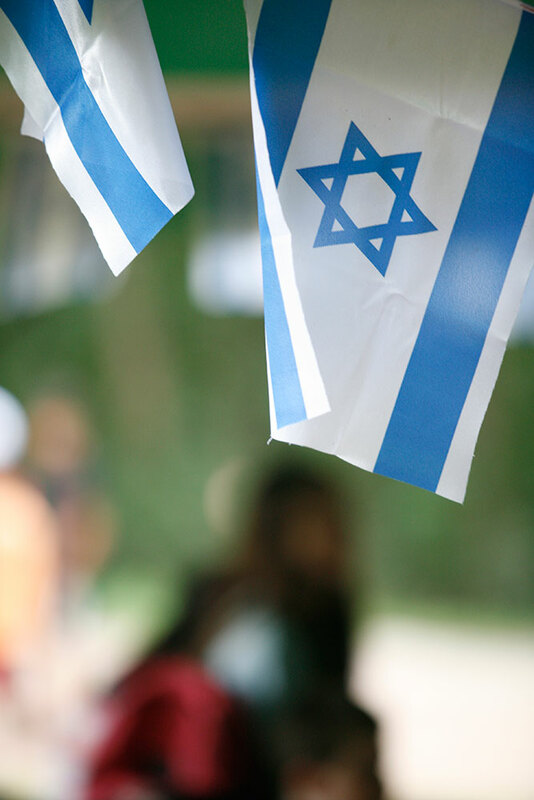 As immigrants, they are struggling to find their place in a new country, with a new language and culture; connecting to their Jewish identity is directly related to finding their place in Israeli society. Yemin Orde works to fill this enormous void. The CONECTIONS program works to provide children with a foundation in Jewish Tradition, history and values and in doing so connecting them to modern Israeli culture and society. Due to a rise in anti-semitism in France, more and more French immigrants have moved to Israel in the past few years. According to Israeli government figures, 7,469 French immigrants made aliyah in 2015. Out of the 440 youth at Yemin Orde, 115 are French. Coming from cities like Paris, Marseilles, Nice and Toulouse, these children fine a safe haven at Yemin Orde. Today, along with the rest of the children helped by Yemin Orde, these French Jews have bright futures as Israeli citizens. Day 37 of 100 - This project aims to ensure the full and successful integration of Ethiopian-Israeli children by enabling them to perform well in school and on the matriculation exams that are the key to entrance to college and university, while increasing self-confidence and addressing social and emotional barriers to their success. This is to be achieved through the inclusion of 144 Ethiopian-Israeli children from three schools in ENP’s SPACE Scholastic Assistance Program in Karmiel. Day 36 of 100 - After the largest mass shooting in United States history at the Pulse night club in Orlando, Jewish Community Relations Council of Greater Pittsburgh (CRC), in partnership with the JCC, held a community conversation for members of the Jewish and Greater Pittsburgh community. About 200 people attended and speakers included representatives from the Jewish, LGBT+, Christian and Muslim communities and more. 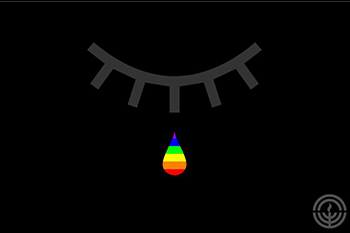 Additionally, in direct response to the tragedy, CRC is partnering with approximately a dozen organizations in an effort to form a larger partnership whose goal is to unite diverse communities throughout the city. Day 35 of 100: J-Serve is an international, pluralistic, teen-led day of service. Pittsburgh has participated in J-Serve for over a decade with the goal of instilling the value of Tikkun Olam through meaningful volunteer experiences from an early age.Join teens from all around the city for a day of service on March 19, 2017. Find out more. Day 34 of 100: Shalom Pittsburgh coordinates multiple hands-on volunteer projects throughout the year and encourages young adults to attend JFed Volunteer Center's Mitzvah Day and Good Deeds Day. I-volunteer kicked off the year with a Shabbat dinner at The Friendship Circle on October 21st. Day 33 of 100: Kibbutz Kishorit is a home for special needs adults in our Partnership Region and an overseas grantee of the Jewish Federation. This summer, they were building a synagogue on the grounds and did not have a Torah. Temple David, in Monroeville graciously offered to donate one, but needed to find a way to bring it there. On June 24th, a special ceremony was held with the Torah at Temple David with Rabbi Barbara Symons and her husband, Rabbi Ron Symons, who took the Torah with him to Israel on July 4 when he traveled with the Diller Teen Fellows. They were received with warmth, and celebrated the Torah’s journey when it arrived. Read more about this incredible story, and find out more about how the Jewish Federation of Greater Pittsburgh gives back, every day. Day 32 of 100: Find a place in one of our welcoming Pittsburgh area synagogues to celebrate the annual completion of the reading the Torah and our start back at “In the Beginning”. 100 Days Of Giving - Every day, see one more way our Annual Campaign helps those in need. Day 31 of 100 In 1972, Bill Strickland assumed leadership of a struggling Pittsburgh building trade school located near Manchester Craftsmen’s Guild. Over the years, he created Manchester Bidwell Training Center to offer career training and education through a network of cultural centers in ten big cities. 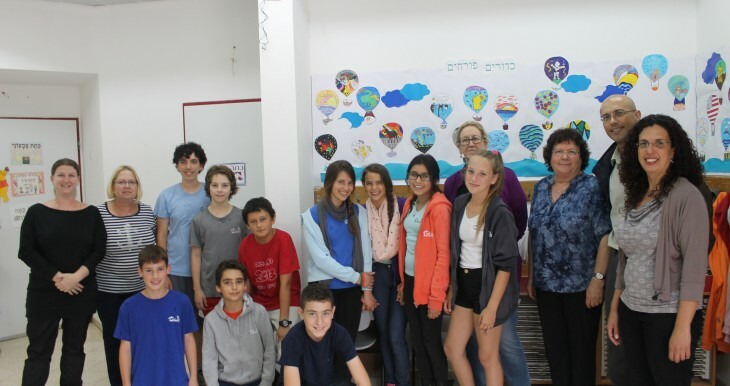 The Jewish Federation of Greater Pittsburgh’s Annual Campaign helped to replicate the Manchester Bidwell model worldwide with Israel as its first destination, and the Akko Center for Arts and Technology (A-CAT) being its first facility overseas. 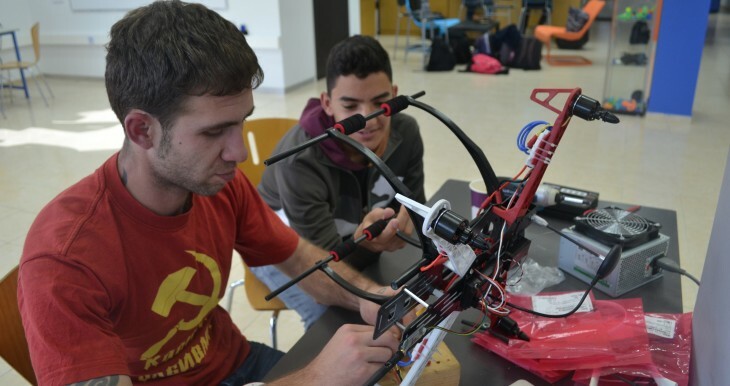 A-CAT is a cultural center providing learning, career training and growth opportunities to the Jewish and Arab community in Akko and the Western Galilee. The center blends education, creation and art to give students a chance to realize their true potential. For adults, A-CAT provides professional training in the industrial and tourism sectors. For youth, A-CAT offers digital photography, photographic editing and 3D printing classes for teens ages 14 to 18. See an interview with Pittsburgh’s Bill Strickland and Israel’s Jane Cynkus here. Day 30 of 100: Welcome to J Café - The lunch spot at the JCC in Squirrel Hill serving delicious kosher lunches. All meals are prepared under the supervision of the VAAD and cater to seniors with special pricing for ages 60+. 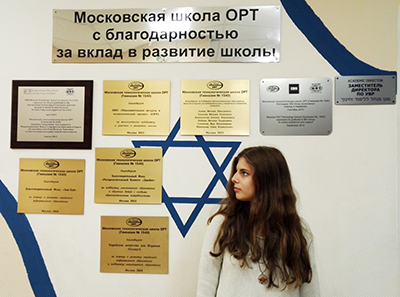 Day 29 of 100: Anna Korbrinskaya, now in her last year at the ORT Moscow Technology School, has three older siblings, but she is the first in her family to attend an ORT school. Your contribution to the Jewish Federation of Greater Pittsburgh’s Annual Campaign supports Anna as she develops her Jewish identity. Anna says her school is “a very important part of my life.” In addition to providing an excellent education in a variety of subjects, Anna says her study of Jewish culture and history has awakened in her a sense of who she is as a person and has played a large role in her plans for the future. In fact, Anna is considering attending university in Israel, where she plans to pursue Middle East studies and political science. “I want to understand the problems in the region and learn what I might be able to do to make the situation better,” she said. Anna also is enjoying a special high school program at Brandeis University in Massachusetts, taking classes in religious studies and culinary anthropology. Outside the classroom, Anna enjoys spending time with friends, reading and playing the violin, cello and piano. She also has attended Jewish summer camps for several years. Day 28 of 100: Last September the Holocaust Center of Pittsburgh opened their exhibit "Holocaust by Bullets" that displayed the research of Father Patrick Desbois. The French priest devoted his life to confronting anti-Semitism and furthering Catholic-Jewish understanding. Father Desbois had lunch with Holocaust survivors and gave a lecture about his research at Carnegie Mellon University. Day 26-27 of 100: Shalom Pittsburgh / Young Adult Division commemorates the sheltering of the Israelites in the wilderness and brings the community together with Sukkahfest! 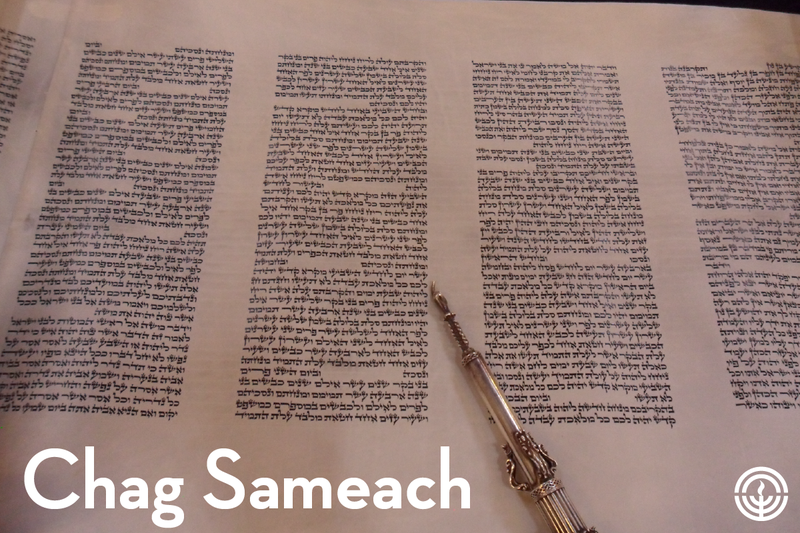 Chag Sameach! 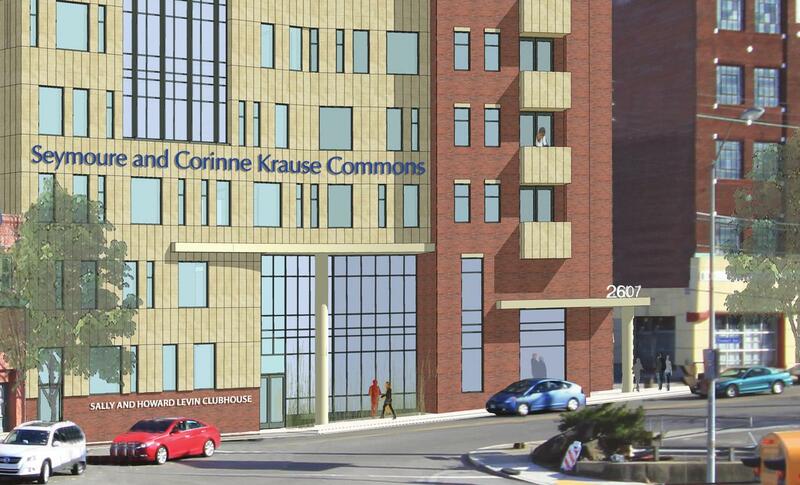 Day 25 of 100: This past summer, Jewish Residential Services announced that they would be starting construction on the Seymoure and Corinne Krause Commons. This new multi-purpose building, located at the old Poli restaurant site near Murray and Forward Avenues in Squirrel Hill, will serve as office space, an updated location for the Levin Clubhouse as well as five floors containing 33 apartments.Half of these apartments will be designated specifically for residents living with disabilities. In the past year, with support from the Jewish Federation, JRS and its partner ACTION Housing have worked diligently to secure government subsidy for this project. The new space is scheduled for a June 2018 opening, with planning and construction projected to take about two years. 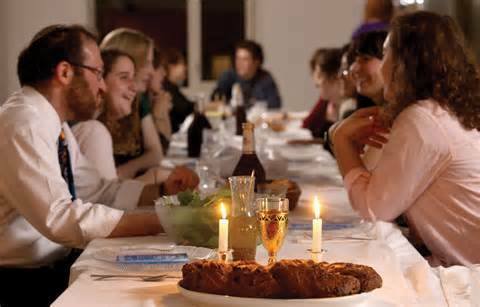 Day 24 of 100: J'Burgh hosts dinners for the young adults in the community to share Shabbat meals, prayer and come together to celebrate Jewish culture. 100 Days of Giving: Every day, see one more way our Annual Campaign helps those in need. Day 23 of 100: Located adjacent to Kibbutz Eshbal and the Arab town of Sakhnin in the Misgav region, Hand in Hand’s Galilee school brings together Arab and Jewish students where they study side-by-side in a bilingual Hebrew-Arabic curriculum. Day 22 of 100 - The Jewish Federation Annual Campaign – and our community’s commitment to enabling young adults to experience Israel – makes it possible for young adults ages 18-26 to participate in Birthright Israel, which provides a free 10-day trip to Israel through a diverse range of trip providers. 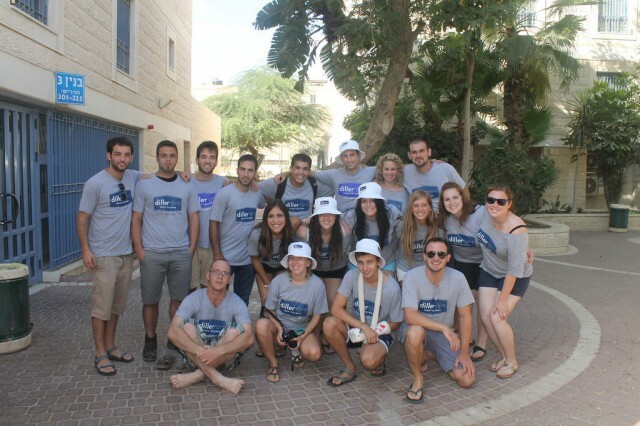 Birthright Israel has sent over 500,000 Jewish young adults to Israel. Birthright Israel maintains high educational and quality standards, procedural guidelines, and security policies for all programs, and performs extensive quality control reviews of every trip. 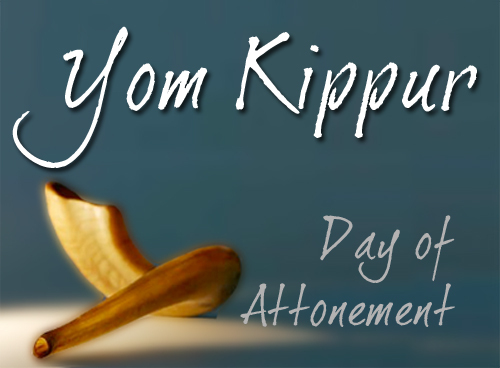 Day 21 of 100: Yom Kippur - "And for the sin which we have committed before You knowingly or unknowingly.For all these, God of pardon, pardon us, forgive us, atone for us." – excerpt of Al Chet. Day 20 of 100: The Squirrel Hill Community Food Pantry, a program of Jewish Family and Children’s Service, helps individuals and families in our community achieve food security and self-sufficiency. The Food Pantry provides a safety net for the hungry and food insecure in the 15217 zip code and functions as the only kosher food pantry in the greater Pittsburgh area, allowing Jews from across the region access to kosher food. As a program of JF&CS, they also supply social services and resource coordination to help those in need to reach as much independence as possible. 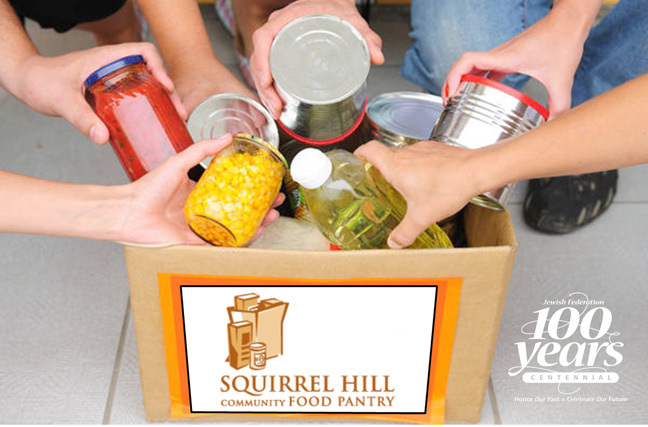 Not knowing where or when you will have your next meal is a frightening thought, supporting the Squirrel Hill Community Food Pantry is just one more way we are helping our community everyday. Day 19 of 100: The Partnership provided seed funding for a bike trail that has increased tourism to the region with several biking competitions that now take place along the P2K Bike Trail. Day 18 of 100: South Hills Jewish Pittsburgh is the hub of Jewish activity in the South Hills. The initiative connects more than 6,000 South Hills Jewish residents and their families with each other, synagogues and community agencies. Through programming, facilitation, and robust communications platforms (including website and social media), South Hills Jewish Pittsburgh inspires our community members to create their own Jewish journey. In 2015-16, South Hills Jewish Pittsburgh held over fifty programs with 4,500 in collective attendance funded with more than $50,000 in grants and communitywide programming support. Day 17 of 100: The history of gleaning traces back to Leviticus, and is exemplified in the Book of Ruth. 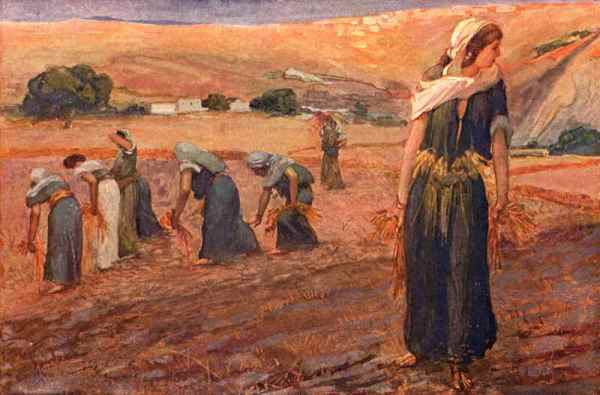 The passage describes the manner of "gleaning" the fields or allowing the poor to gather the remains of a reaped crop or anything that escaped from the sickle. The Rabbis interpreted this law to only be applicable to grain fields, orchards and vineyards. The owner of the crop could receive no benefit of the gleaning or discriminate against the poor. The owner was not to aid the poor in gathering nor hire a laborer to glean after the harvest. Anyone who prevented the poor from gleaning his field by barriers or threats or favored one poor man to another was considered a robber of the poor. If there were no poor to glean, the owner was not obliged to seek others in need elsewhere, but may collect the gleaned crops for himself. The last two years, the Jewish Federation of Greater Pittsburgh's Volunteer Center has held the gleaning of crops at Greenawalt Farm through their VOOM series, and plans to continue the program. VOOM! is a monthly volunteer program that will broaden your awareness of volunteer needs in our community while providing an opportunity to learn about a variety of organizations and options where you can make a difference. 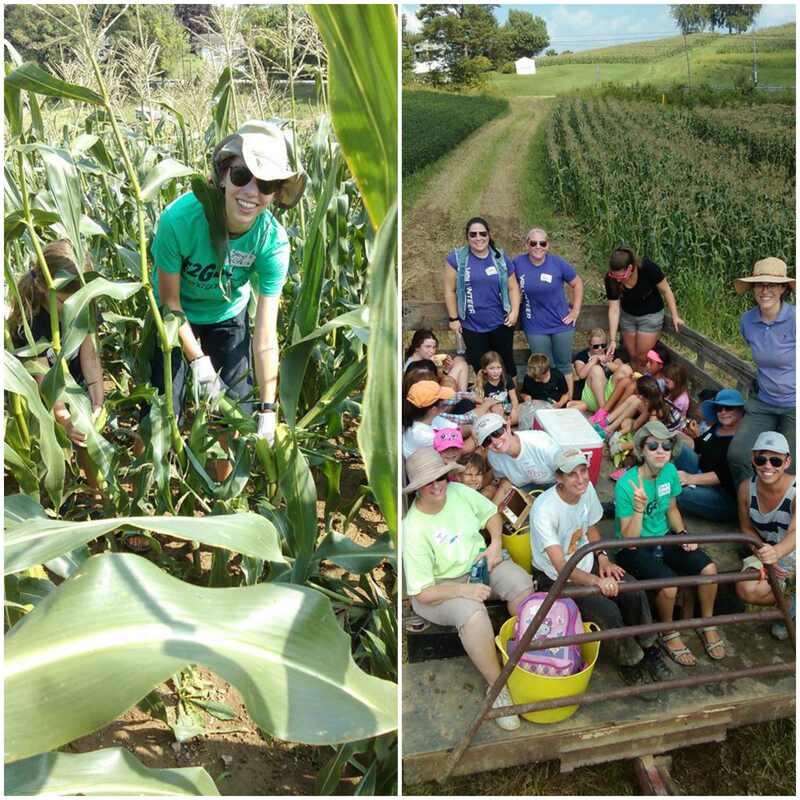 On August 19th, 2016 twenty volunteers headed to the farm to harvest 4,300 pounds of sweet corn that was later donated to the Greater Pittsburgh Food Bank. All of the food collected went to people in our community as part of the Produce to People program and fed almost 200 people.Not only does the day of gleaning, bring food to the poor but unlike the historic Jewish tale, it brings joy to the volunteers doing the collecting. “Nomi and I felt very good about the work we did.” - Hadar Bechor, gleaning volunteer. Every effort is appreciated. Katie Walker who runs the gleaning program for the Food Bank reached out to all of the volunteers to express her gratitude. Day 16 of 100: Leket Israel sends volunteers and paid workers into fields at the end of the season’s harvest to collect produce, which would otherwise rot or be destroyed by farmers. Day 15 of 100: AgeWell Chorus brings Jewish seniors together to sing at the JCC of Pittsburgh. 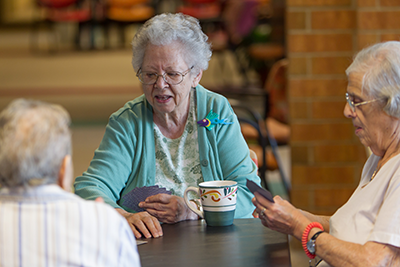 Collaboration between four agencies—the Jewish Association on Aging, JCC Pittsburgh, Riverview Towers and Jewish Family & Children's Service of Pittsburgh—enables this independence. This is the power of the collective: your one gift to the Jewish Federation of Greater Pittsburgh’s Annual Campaign touches one person in so many different ways. Day 14 of 100: Young Adults in Transition is an initiative of Jewish Residential Services designed to support individuals who are eager to assume more independence but who need considerable supports because of significant disabilities. JRS has partnered with Verland, another nonprofit agency, to bring a small licensed group home to Squirrel Hill, and, in collaboration with Jewish Family & Children's Service, is presenting free educational programs as part of a series called "AIM: Support for Families of Individuals with Special Needs." Day 13 of 100: Shalom Pittsburgh offers volunteer projects, happy hours and other social gatherings, as well as programming specifically for young families, in the city, suburbs, and more! 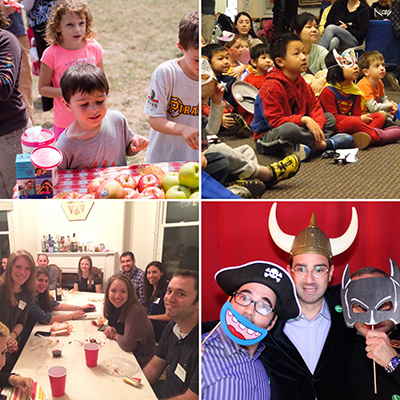 Apples and Honey, PJ Library Adventureland, Shabbat dinners and Vodka Latke – don't miss out on the young adult community events. Day 11 of 100: Since 2006, the Friendship Circle has been bringing together children with special needs and teen volunteers in a full range of social activities. Find out more about how we create lasting friendships. 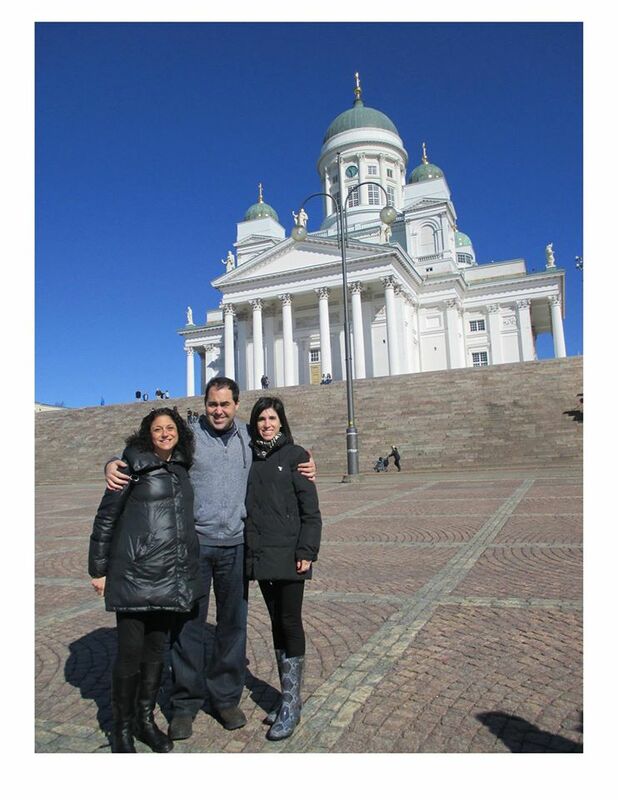 The Friendship Circle was established in 1994 and has spread to over 60 cities around the world. In 2006, Pittsburgh's Jewish Community started their local chapter and it has just recently opened their new facility in the heart of Squirrel Hill at 1922 Murray Ave. Their programs are dedicated to fully integrating children and young adults with special needs into the broader community. In a wide range of social activities, Friendship Circle pairs up volunteers—mostly high school and college aged—with friends who have special needs. It aims to enrich the lives of all participants by creating lasting friendship which strengthen both the Jewish and secular community. Day 10 of 100: Pittsburgh and its people have grown and changed over the years. We have the Rauh Jewish History Program & Archives to capture these changes in time through photos, documents and precious information. The flow of Jewish families first arrived in Pittsburgh around the 1840's and brought more than just their suitcases and hopes to plant a great life for their families. They also brought and shared the Jewish tradition of tzedakah—the act of giving to help others. 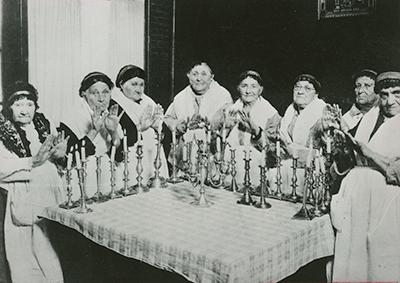 The Jews of Pittsburgh have worked to care for another, dropped coins into pushka (collection) cups, visited the sick, built institutions to serve the needy and fundraised to improve their city and beyond.This culture of giving was determined by the Jewish religious commandment to be compassionate, righteous, and just and was shaped by their experiences as Jews in America. How do we know this? Thankfully our community has people to document and record this knowledge. David Schlitt, director of the Rauh Jewish History Program & Archives, spends each day keeping history alive. "Memory plays a uniquely important role in the culture, religion, and survival of the Jewish people. As historian Yosef Hayim Yerushalmi notes, the commandment to remember appears in the Torah 169 times. Institutions like the Rauh Jewish History Program & Archives are society’s ‘memory-keepers’. We preserve and provide access to our community’s history both for today and for generations to come," Schlitt said. From 1990 to 1920, the Jewish population in Pittsburgh had grown from 4,000 to 30,000 as more and more persecuted Jews from the Russian Empire and Eastern Europe fled to the United States. To keep up with the growing population, several social services organizations were founded to provide healthcare and education to the residents. Funds were needed to support these organizations, which led to the establishment of the Federation of Jewish Philanthropies of Pittsburgh and a new era of centralized fundraising for local charities—the community-wide campaign. The Rauh Jewish History Program & Archives is here to serve all with an interest in history and traditions. In order to thrive, they seek donations of materials from families and organizations with connections to Western Pennsylvania Jewish life. "The work we do as memory-keepers is painstaking and expensive." Schlitt explains. "Processing a single linear feet of material – one bankers’ box – costs about five-hundred dollars. To fulfill our mission we depend on the generosity of the community in many different ways: through donations of material, donations of time, and donations of funds." Funding the organizations in 1912 and today take teamwork and plenty of charitable giving. We must continue to band together and 'DO GOOD' in the Burgh and Around the World. Day 9 of 100: Located in an impoverished Druze Village, the Israel Tennis Center Galilee – Sajur is a model of coexistence in the Karmiel-Misgav Region. The Center is surrounded by Circassian, Druze, Christian-Arab and Muslim-Arab villages, as well as Jewish towns and the large city of Karmiel. ITC Galilee – Sajur serves as a meeting ground for the numerous religious and ethnic communities in the area. By providing equal opportunity scholarships and programs to play on court together and develop friendships, the ITC Galilee – Sajur affords the children of these communities a chance to acquire life skills while fostering an understanding and appreciation for different cultures and religions. This year the program is serving 16 children in total, 8 from Karmiel and 8 from Druze Villages. Four additional children will be recruited. Day 8 of 100: Sivitz Jewish Hospice, a program of the Jewish Association on Aging, focuses on quality of life by addressing the patient's spiritual, physical and emotional needs while managing pain and other symptoms. Day 7 of 100: Car won’t start? That can make someone homeless. But not with SOS Pittsburgh. 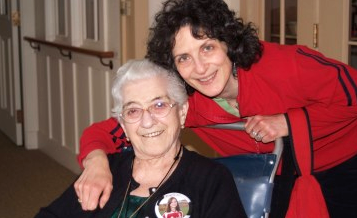 Day 6 of 100: Mollie's Meals, a program of the Jewish Association on Aging, is a kosher home-delivered meal program for seniors and home-bound adults in Squirrel Hill, East End, Shadyside, Oakland, parts of Monroeville and the South Hills. Day 5 of 100: The Pittsburgh Diller Teen Fellows program is a 15-month international leadership program focusing on four pillars: leadership, Judaism and Jewish Identity, community service, and Israel. The program encompasses a full exchange of the cohorts, whereby the Pittsburgh Fellows host their Israeli counterparts for ten days in Pittsburgh in March, and then they are in turn hosted by their Karmiel/Misgav counterparts in Israel during the summer, when both cohorts partake in a prestigious international program which includes a Leadership Congress with 500 Diller Fellows from around the world. 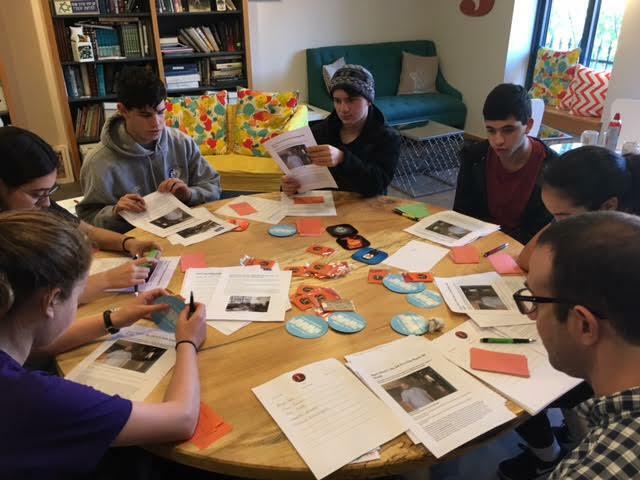 Pittsburgh and Karmiel/Misgav are one of 16 Partnership2Gether communities that participate in the Diller Teen Fellows program. * More than 300 teens from Pittsburgh and Karmiel/Misgav have served as Diller Teen Fellows over the last seven years. 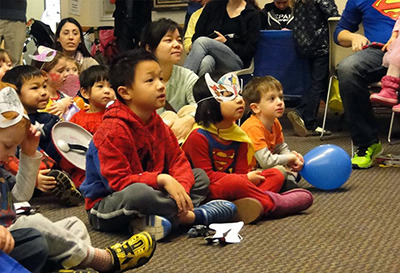 Day 4 of 100: PJ Library provides, free of charge, Jewish-themed children’s books and CDs every month to families with children ages 6 months to 11 years old. Funded by the Harold Grinspoon Foundation and the Jewish Federation of Greater Pittsburgh, PJ Library reinforces the content of its materials through fun and engaging family programs developed in partnership with the Jewish Community Center of Greater Pittsburgh and facilitated by Federation PJ Library Ambassadors in the community. * Nearly 1,160 Families have received PJ Library materials since the program began in 2008. Day 3 of 100: When you look at this picture, what do you see? You see kids having fun at J&R Day Camp. You see children learning life skills. But you also see a community seamlessly including a little boy with a disability. 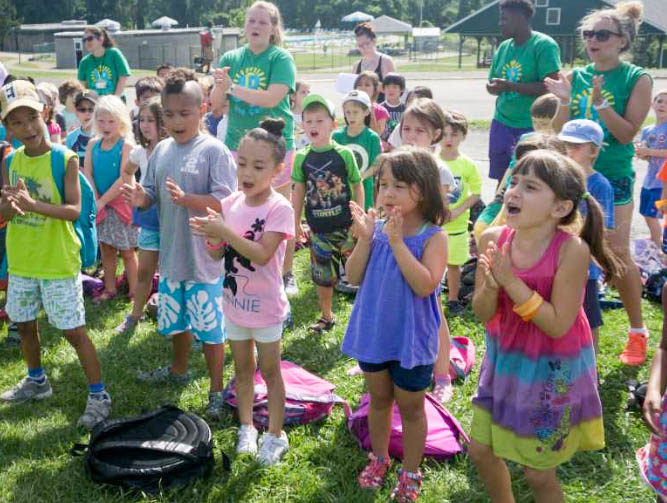 With support from the Jewish Federation Campaign, inclusion programs in our community, like the one at James and Rachel Levinson Day Camp, can continue to do good work here in Pittsburgh and around the world. Alissa Miller is a single mother of two children, and her seven-year-old, Israel, has autism spectrum disorder. Israel attends a local school for special needs but, as the years have progressed, summers have become harder and harder for Alissa. Like most children his age, Israel is energetic and does not want to sit in a classroom all summer, but without the structure of the school day, Israel started to fall apart. He loves to swim and play basketball, and he wants to make friends but his disability makes it incredibly difficult. 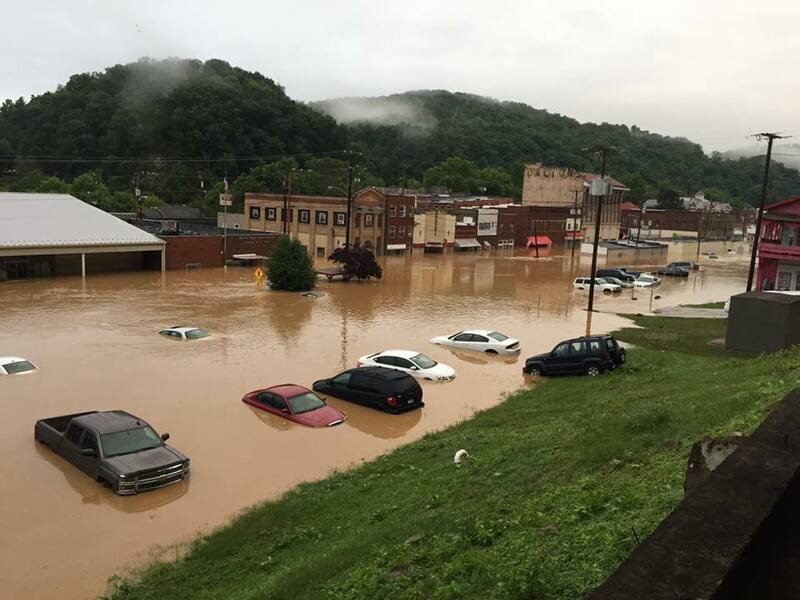 At the suggestion of a friend, Alissa looked toward the Jewish Community Center, a beneficiary agency of the Jewish Federation of Greater Pittsburgh, for a solution. This summer, Israel participated in the Merck Summer Therapeutic Inclusion Program at the JCC's James and Rachel Levinson Day Camp. This is a one-of-a-kind program integrating kids on the autism spectrum with typical peers. For the first time—according to his mom—Israel is learning how to interact with children his own age in a social environment. He loved everything about it and Alissa has not seen him behave this well, with so few outbursts typical of autism, in a very long time. The Jewish Federation of Greater Pittsburgh, changes lives for people like Israel and Alissa—and for thousands of others locally and worldwide. Israel is already excited for next summer, and we will continue to provide services like this for years to come. Day 2 of 100: Krembo Wings runs activities for children and young adults with severe special needs aged 7-21 in Karmiel. Members are paired with teens who develop leadership skills and a sense of social responsibility. Day 1 of 100: Business of One's Own, the flagship program for Economic Empowerment For Women supplies low income women in Israel with the knowledge and tools to create their own small businesses as a means for gaining self-sufficiency and alleviating the cycle of poverty in which they live. The program has run successfully in approximately 85 locations for over 5000 Jewish and Arab participants and over 1,800 businesses were created as a result. Your Annual Campaign supports this great program.